Although it may seem ideal to tackle all data issues at once, it’s far more effective to target specific assets to start. Implementing data governance in a targeted way sets a firm foundation for taking it across the enterprise. For starters, it helps to avoid one of the biggest historical problems with data governance: lack of follow-through. By targeting an area of the organization, such as marketing, one can work with the underlying organisational structure to take action and ensure accountability. Information goals are clearly aligned with business strategy. The information architecture is clarified by taking inventory of the data assets – how they are managed and used as well as how they support the existing application architecture – and by evaluating and removing obstacles. Diverse stakeholders reach consensus and coordinate with one another. They find key data entities and critical data elements and develop information policies. This is far easier to do when targeting specific areas. Consider, for example, the possibilities for data governance in customer relationship management (CRM) initiatives. It can greatly improve call center effectiveness and cut frustration due to lost or duplicate information, multiple mailings, or delivery to wrong addresses. In sales and marketing, data governance can improve sales by solving issues with multiple, inconsistent product catalogs and inaccurate customer demographics. In risk management, it can improve auditing and reporting, solve privacy concerns, and prevent fraud. In finance and accounting, it can ensure accurate, consistent billing and provide a consistent credit picture. These are just a few examples where success in one area will lead to success in others, and the organisation can reap immediate measurable benefits. The first step is to objectively assess where business improvement can bring the most benefit to the organisation immediately, and establish a beachhead there. It’s critical that this assessment is objective, using an outside point of view. Work with an organization that has helped others successfully implement data governance. One that looks across the organisational silos, has a methodology for assessing data governance across the enterprise, and knows the key questions to ask to assess where to begin a data governance initiative. It should also understand the best data governance models, data governance and data quality processes, and ongoing organisational processes. The demand to improve your business continues to increase as expectations change, new technologies emerge and competition grows. An effective way to establish continual improvement within your organisation is to conduct regular business process improvements (BPI). Business processes can be informal or formal and touch a variety of company functions: information technology, employee development and training, customer service satisfaction, etc. 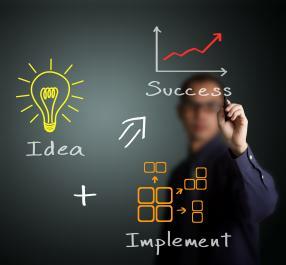 Regardless of the process you are trying to enhance, the improvement procedure follows a similar path. Create Improvement Strategy: With the process analysis phase completed you need to develop your strategy. It is recommended that you include what steps in the process are broken, why and how they should be improved and any financial and resource implications. December is always a calendar month for reflection across how well we did or did not do in the previous year and for most people, particularly in start-up or pre-revenue businesses, December is actually too late. The importance of strategy and planning in a business should be a living a breathing document between the directors and employees daily, weekly, monthly, and quarterly. Without strategic planning, objective setting with goals and proper financial planning and business care rarely manage and develop and grow. We are also experiencing a new level of uncertainty in our current world about geo-political events and sanctions, that can also disrupt a company on an existing coarse or plan of growth, learnings, among other things, that we need to expect the unexpected, you should be prepared for disruptions to the business on all fronts and all levels of severity. 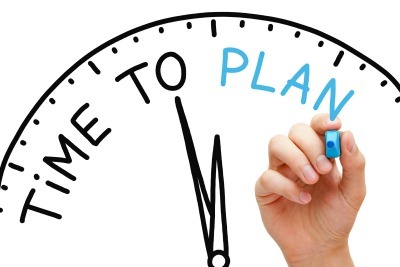 Planning is one of the most important but poorly utilised management tools of businesses. This is true whether the focus is on planning a start-up business, operations planning, expansion planning, strategic planning or other planning. Before you being the planning process you need to create the proper environment within the business. This will increase your chances of having a productive planning effort. 1. Create a culture within the organisation that is open to planning. It is easy for management to focus all of their attention on day-to-day management and forget about the long-term direction of the business. 2. Involve all management personnel. It is often believed that planning is a business function separate from management. However, to be successful, all management personnel need to be involved in planning. Involving management personnel is the way to create “ownership” and “commitment” to the plan and its implementation. 3. Remember customer needs. During the planning process it is easy to focus on matters internal to the organisation and forget the customer. Remember, satisfying customer wants and needs is the reason the business exists. 4. Focus the plan on goals. The purpose of the plan is to achieve the goals of the business and help reach its vision and mission. So, the first step is to re-examine the business mission statement and the goals associated with it. Without goals, planning is meaningless. 6. Provide enough time and money for the planning process. Planning is often entered into half-heartedly. So, it is often under-funded with insufficient managerial time allocated to it. 7. Make good assumptions about the industry and market environment. The business will be operating in an industry and market environment. So, it is important that you thoroughly understand these environments. The assumptions you make about these environments are important for the success of the business. 8. Focus on results. To be successful, planners need to proceed through the various steps of the planning process. During every step of the process, planners need to focus on the expected results of the planning process. Finally, the plan is a “living” document – revise it regularly as needed. Business leaders often believe that a plan cannot be changed once it has been put in place, or at least until the next planning period. Although a plan should not be changed frivolously, it needs to be modified and updated when appropriate. As a plan is being implemented, it is not uncommon to uncover deficiencies in the plan as well as changes. Quarterly budgeting and 100-day plans with allocated responsibility and tasking can help support business planning, transformation and growth. With wine and app messaging – do we find the truth? The office Christmas party is fraught with perils usually due to the over-consumption of alcohol. There is the danger of having had too much to drink and telling your boss that you hate them or posting inappropriate ‘selfies’ of you at the party all over social media and texting your hot colleague or partner with innuendos. Now, a survey of more than 1000 UK workers and managers by the Institute of Leadership and Management (ILM) reveals which misdemeanours at the Christmas party cause the greatest unease when you return to the office. Every so often we get to partying and we end up having a couple more drinks than we planned. As adults, we get to the point where we know how to drink responsibly, but like they say, “I didn’t go looking for trouble, trouble found me.” When that trouble is in the form of an adult beverage, it can quickly lead to embarrassing moments. Whether it’s your office party, birthday, or you just got a little too far ahead of yourself before dinner, it happens. Of course, you know what happens next… you take out your phone and get to texting. Everyone has either received them or sent them … some of them are funny and some of them are just down right annoying! So, when is enough, especially when you are dating someone? In a recent blog ‘What is Happiness’ I mentioned that in terms of relationships and happiness at home, according to a new Brigham Young University study published by researchers Lori Schade and Jonathan Sandberg, romantic couples who text each other with confirming messages (“How are you?” “How’s it going?” “I miss you!” “I feel tingly just thinking about you!! !”) tend to experience greater relationship satisfaction. Confirming messages are best conveyed with an emotional dimension – communicating essentially: “I care about you,” and “You’re important in my life.” In fact, sending affectionate messages to one’s partner yield even greater emotional satisfaction than receiving them. But is there truth is drunkenness as a state of condition or mind? According to Bruce Bartholow, author of Alcohol Effects on Performance Monitoring and Adjustment: Affect Modulation and Impairment of Evaluative Cognitive Control, alcohol does not make you behave badly, it just makes you care less. For all of you trying to apologise or rectify some misspoken words, the excuse, “I was drunk, I didn’t mean it I am sorry for being stupid” does not cut it anymore. If you think back to that moment you were saying all those things you wish you could take back (if you can remember them, of course), wasn’t there a part of you that knew what you were saying? Only, at that moment, you didn’t care about how much it was going to hurt the other person … or you. Is drinking all about a whirling, tumbling gamble of life? We throw away all our inhibitions and knowingly drown ourselves in a liquid that, at certain levels, is poisonous enough to kill us. Another thing with drunk texting is that you have that alcohol courage helping you out. So not only have you sent that oh so important text message to declare your undying affection, but you have also sent a billion other text messages in a row that are pointless gibberish. And that will start to annoy anyone who is on the receiving end especially sober people. So because of all the other messages, the most important message you wanted to get across is lost on that person, because they are too busy counting how many text messages you have sent in one hour. Interesting enough, Forbes took an end-of-year look at companies leading the way as valuations get extra frothy, ranking the Hottest Start-ups of 2014 by fastest growing valuation over time between funding rounds. These aren’t necessarily the most successful (or most hyped) start-ups — but they are the ones that investors are betting the biggest bucks on for the future. The Forbes 2014 list included some big names, like private taxi juggernaut Uber (3rd), which announced another $1.2 billion funding round in December, coming just six months after a previous raise of $1 billion-plus. And investors aren’t just bullish on Uber’s future (at a $40 billion valuation) — they love the whole ride-share category. Uber’s arch-rival Lyft also appears (7th), along with smaller competitor RelayRides (14th). Home-rental service Airbnb is the second-largest start-up on the list (at 15th). After raising $450 million in 2014, Airbnb’s valuation jumped to over $10 billion. It’s also yet another Silicon Valley disruptor growing despite fierce opposition from regulators in certain places. Cloud human resources company Zenefits, the 1st startup on their list, is also fighting against laws that restrict its business practices in Utah. Some of 2014′s hottest start-ups are already graduating out of private company life. Since raising $90 million in its April 2014 series F funding round (and adding nearly $3 billion to its valuation), Lending Club went public on December 11, adding another $870 million to its coffers in the IPO. Shares quickly shot up to $24 a share from the $15 price, giving the company a new market capitalization of $9 billion. The most recent recession saw tens of thousands of people suddenly lose their jobs after spending most of their adult lives on the same career path. This prompted many to consider whether it would make more sense to work for themselves and not for a company. These days, more people are deciding to take their future into their own hands and become entrepreneurs. The beginning of the year has arrived and while it’s important to take some time to assess the positives and negatives of 2014, it is also worthwhile ensuring everything is ready for the year ahead so that 2015 does not start with unnecessary stress. It is the little things that people often forget about. Simple things, like cash flow and budget, that can make all the difference. The following 10 tips would make sure business owners cover all their bases and have a successful 2015.